King Arthur: Legend Of The Sword checks so many boxes on the blockbuster to-do list: There are big names (Charlie Hunnam and Jude Law), magic and spectacle, and of course, monstrous elephants. 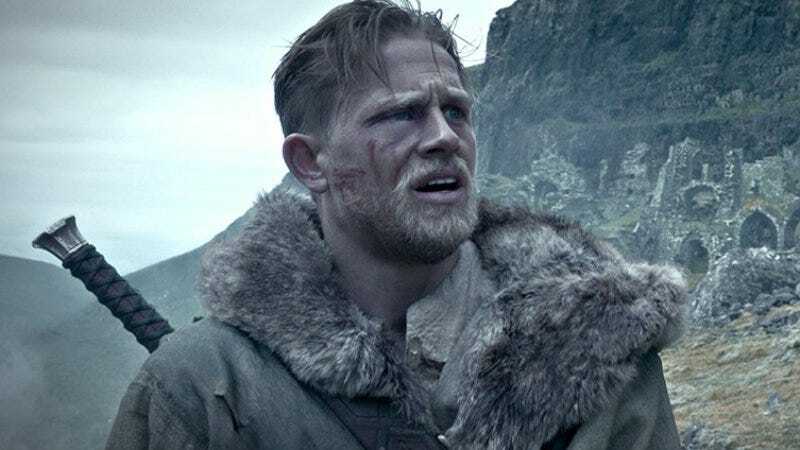 Guy Ritchie’s adaptation of the legend sees Hunnam take on the role of Arthur, the real heir to the throne that Vortigern’s (Law) languidly draped himself across. Their fight for power will draw out the aforementioned magic, rampaging elephants, and some more great headgear for Law. Hunnam said his training for the role involved throwing 1,000 punches a day, but you won’t have to perform such an arduous task for your chance to catch the action on screen. The A.V. Club is giving away free passes to an advance screening of King Arthur: Legend Of The Sword on Monday, May 8 at 7p.m., at the Showplace ICON at Roosevelt Collection theater. Just go to this website and click ”Get My Passes” to get started. You should get there early, though, to avoid having to knock someone off your throne—er, seat.